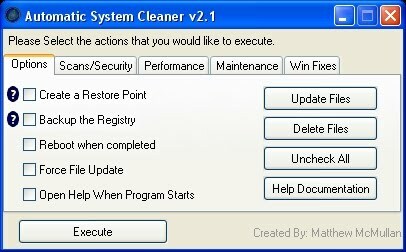 Welcome to the Automatic System Cleaner Documentation! Here you will find everything that you need to know about using Automatic System Cleaner, and what it specifically does. Normal Users Should read the Overview page, which gives an overview of how to use the program, and what the functions do. Business users that need to know EXACTLY what everything does should see the Inner Workings Page.